That is what that amazing woman Rachel Frankel, mother of Naftali, is asking of all of us. Not coincidentally, this dovetails with what I wanted to ask today as well. Investing energy in anger about the boys’ kidnapping, focusing on fear for them and other negative thoughts is not constructive in terms of what we are all seeking. The nature of the energy that is put out into the world does make a difference. And what is needed now – in addition, of course, to prayers! – is positive energy. Send the boys feelings of love. Picture them safe. Mentally hug them. Reassure them. This truly helps, my friends. Spread the word. Last night, seven more Palestinian Arabs were arrested in an IDF sweep in Arab areas of Judea. One of those arrested was Omar Abu Aysha, the father of Amer Abu Aysha, who has been missing since the kidnapping and has been named as a likely abductor. Some 190 sites were searched. The IDF is looking at ways to prevent future abductions by taking such actions as installing both cameras and better lighting at intersections where hitchhiking takes place. said Lt. Col. Shimon Peretz, deputy commander of the Judea Brigade. Prime Minister Netanyahu announced at today’s Cabinet meeting that he is going to take steps to outlaw the northern branch of the Islamic Movement of Israel. One is tempted to say, “Mazel tov. 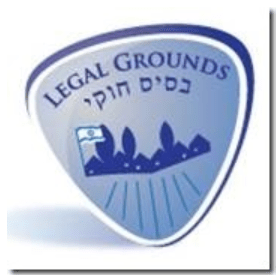 What took so long?” It has been apparent for some time that this group is affiliated with and fronts for Hamas. Its head, Sheikh Raed Salah, is in and out of prison because of his activities. What finally did the trick it seems, is the demonstration held in the northern Israeli Arab village of Umm al-Fahm (which is at the heart of Islamic Movement territory) on Friday against the IDF operation to find the kidnapped boys. In fact, there were calls, in fact, for further kidnappings, and rocks were thrown at police. We have been subjected in the last few days to a barrage of rockets from Gaza – 12 just over the weekend. 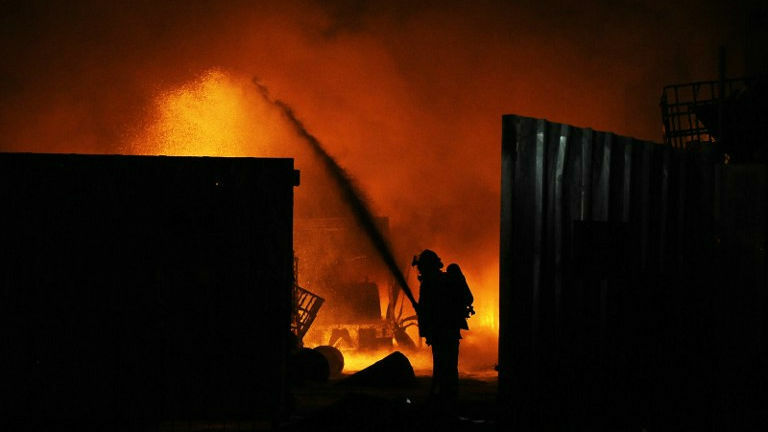 What happened last night is that a rocket hit a plastic factory in Sderot, causing it to burst into flames and ultimately injuring four persons. Israeli firefighters extinguish a burning factory hit by a rocket fired from the Gaza Strip on June 28, 2014 at an industrial zone in the southern city of Sderot. The previous day two Palestinians in the Gaza Strip were killed in an Israeli air raid after a bomb exploded near troops manning Israel’s security fence. “The strikes targeted a weapons factory in the northern part of the strip, another weapons facility and a “’error center’ in central Gaza and six sites in the southern strip, three of them concealed rocket launchers, the IDF said. The number of rockets launched from Gaza in June was 4.5 times the number in May. And Hamas Deputy Leader Moussa Abu-Marzouk has admitted that Hamas is doing nothing to stop the launching of those rockets. Thus is attention being given to a link between the kidnapping and the rocket launching. But I caution, “should the need arise” is the operative phrase. There has been a bit of troop movement, but this all may be saber rattling. If our intention to go into Gaza is taken seriously, and the rockets stop, we won’t go in. Whether we should anyway is another discussion. Lieberman suggests it’s time to seriously consider taking back Gaza. Some tentatively good news: Martin Indyk has resigned as special envoy to the “peace talks.” He is going to return to his former positions at the Brookings Institute in Washington DC, as vice president and director of foreign policy. This signals that the government has a significantly reduced hope of achieving a negotiated peace between Israel and the PA, and, if we are lucky, it means less pressure will be put on us. “We’re in a pause right now. The secretary and the president, certainly, are still committed to trying to make progress here. While the direct negotiations have taken a pause, our efforts behind the scenes to work with both parties to get them back to the table are ongoing. What makes the situation more problematic, and disturbs me far more than Indyk does, is the willingness of certain Israelis to go along with this. There is, of course, Tzipi Livni, who was chief negotiator during the recent talks. Now she gushes about how committed Indyk was ta the peace process, how he understood the importance of it to Israel – and how “we will continue to act” in this spirit. I found this terribly worrisome and began to wonder if he was taking “president’ lessons from Peres. First, it’s impossible to “restore” trust unless it previously existed, and it never has. And then – in light of the Fatah Facebook page that celebrated the kidnapping and statements by other members of the PA questioning whether there really was a kidnapping – he waxed far too enthusiastic about a pro forma statement that Abbas really had to make. It’s pretty easy to see what’s coming down the road: Abbas will break off from Hamas, and will be heralded as a moderate and a hero for doing so. The fact that Abbas funds terrorists in our prisons and incites like crazy against us will be forgotten. He will be embraced, once again, as a “partner for peace.” And unless I’m very much mistaken (and oh how I pray that I am!) our prime minister will be on board at some level, talking about his readiness to go to the table again. Ever the willing player. Next the Zionist Federation of Australia, Gandel Philanthropy gifts a trip of a lifetime. Arlene, not just Israel, but the world, needs to be far more proactive in outlawing Islamist groups, which are causing chaos wordwide. We have various Islamist groups in Australia, yet the government seems to be slow to act against them, even when they are shown to have links to Hamas and Hezbollah. I have been saying for years what Ben Fordham was saying yesterday in discussion with Mike Smith before it was pulled off air, that if you ban groups they go underground where they can’t be watched.. Better in the open where they can be monitored.